Orange, white and purple carrots. 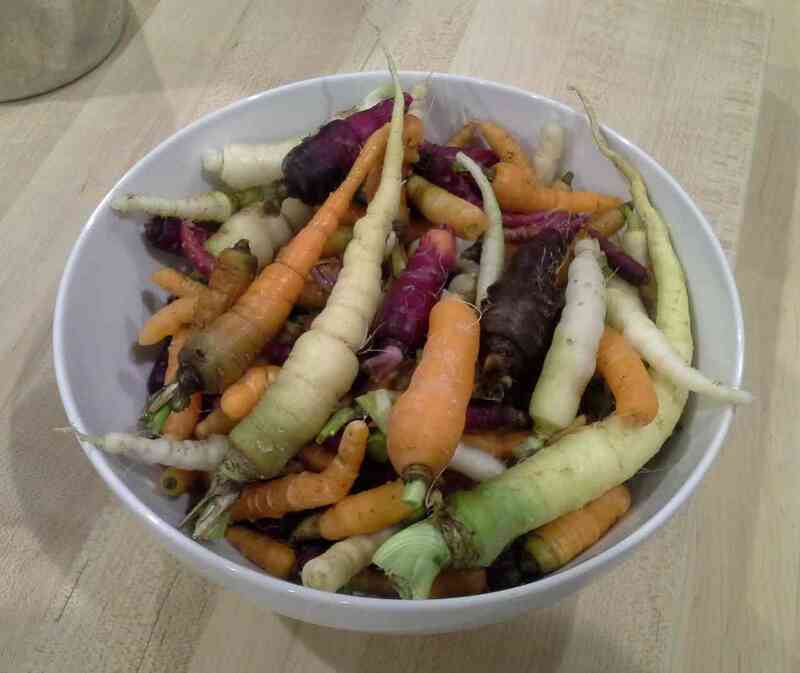 I raided the carrot box because I needed space to plant onions so up came all the carrots from the spring. They didn’t get very big but they are much straighter than my first batch last year. 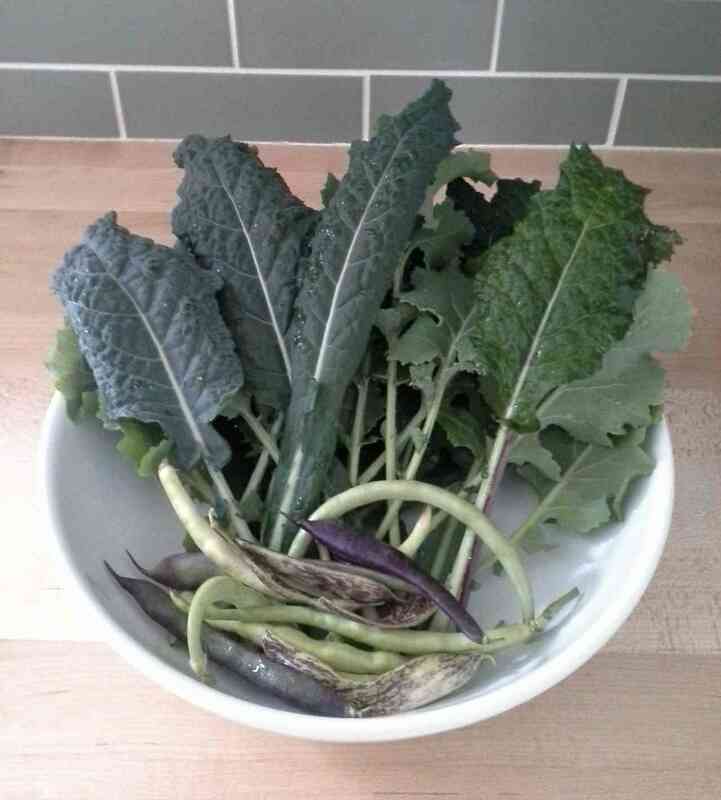 Kale, green and purple beans. The kale is mostly from the one lone kale plant that didn’t get dug up by the raccoon/possum. I wanted to harvest some before anything else attacked it. My bean plants are in various stages of growth. I’m hoping for a big harvest before Christmas this year. 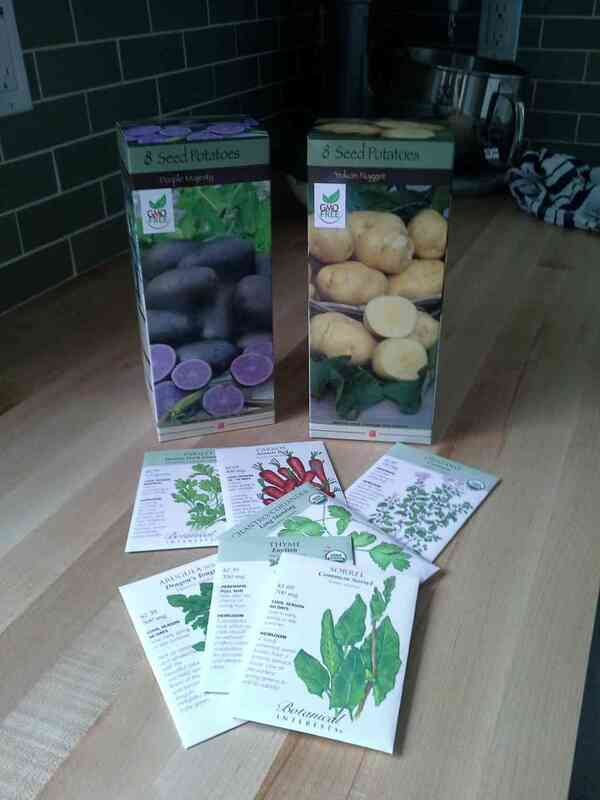 Since we had an extra day of rest today, we went to the sprout store and bought some seed potatoes and more seeds on sale! The rest of the day will be cleaning up the garden and planting more seeds. Yay!